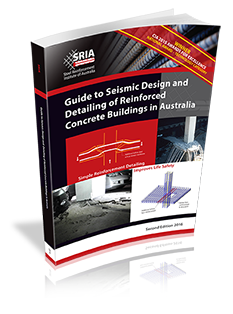 Steel Reinforcement in Australia is distributed by an efficient network of specialist reinforcement processors. SRIA Processor Members are established Australian companies responsible for subsequent processing of reinforcing steel supplied by a steel producer in Australia or from overseas which significantly changes the shape and properties of the steel. They are processors of steel reinforcement in Australia, meet recognised technical and quality standards and keep production and financial records. Processors act as the main link between major steel manufacturers and the end user of reinforcing materials. They provide the market with a one-stop processing shop for fabrication of steel reinforcement to AS 3600, AS 5100 and AS 2870 in compliance with the relevant Australian Standard AS/NZS 4671 Steel reinforcing materials. Steel reinforcement is often packaged with a range of complementary products supplied by SRIA Associate Members.